We make digital invoicing and claiming quick and easy. Ditch the paperwork, get real-time invoice approvals and enjoy fast payment. We’ve created a digital claim payment platform that cuts out the paperwork and brings easy, instant invoicing, claiming and payment to the point of service, allowing you to focus on what matters. Simply create your account and be approved by the relevant program. Choose our website, LanternPay app or an integrated PMS. View your invoice history and receive detailed remittances for your claims. Improve your cashflow and be paid without delay into the account of your choice. We've integrated with our technology partners to bring fast payments and easier, paperless claiming to your existing ways of working. We love the ease and speed of payment that LanternPay brings to claims – no more worry and hassle of outstanding accounts! LanternPay saves us time, is very easy to set up and simple to use. We won’t look back. 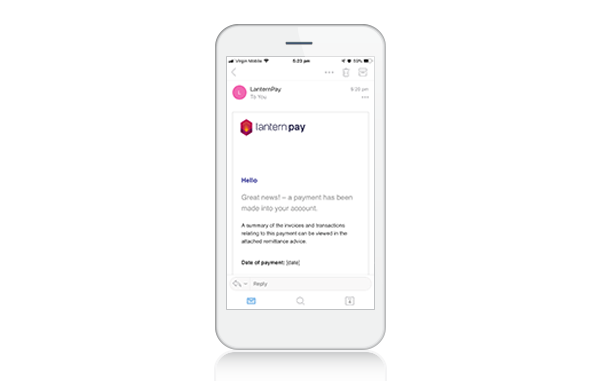 We love using LanternPay – it’s changed the way we deal with the TAC…we are much better off with less manual work, less confusion and no waiting to get paid. We need LanternPay for all schemes that currently use a manual claims process! …with multiple accounts, the user-friendly site makes submitting invoices very quick and simple, saving me the time and cost it took to print and post them. 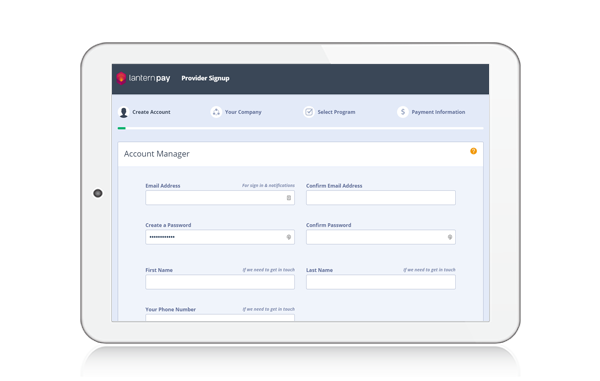 With LanternPay, there’s no missing invoices or payments, just fast payment next business day. Love the platform. Love the mobile app. Love the simplicity. Many thanks for a gracefully simple solution. Keep up the great work. Our members are pharmacists, not debt collectors. Finally, there’s a product in the market that makes claiming from programs easy, so our members can better focus on providing health solutions for their patients. 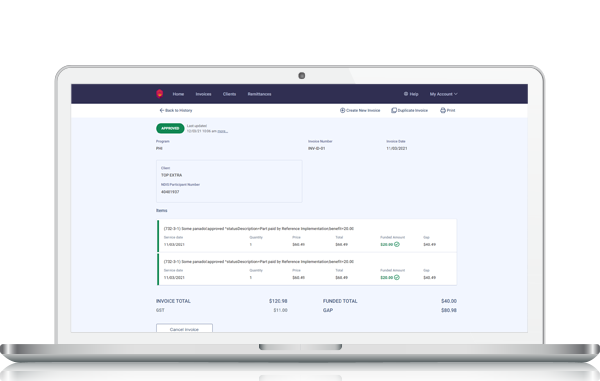 Join the thousands of service providers who are spending less time on admin and getting paid fast when they invoice programs with LanternPay. Or need a little help? Read our frequently asked questions to learn how to set up your account and create your first invoice.